Originated From: I was born in born in Billings, but primarily grew up in Miles City, Mont. Undergraduate/Masters/PhD Programs: For undergrad, I attended Carleton College in Northfield, Minn., where I received my B.A. in Chemistry. I chose Carleton College for my undergrad because I wanted to go to a small, liberal arts school that was strong in the sciences.For graduate school, I attended the University of Illinois in Urbana, Champaign, where I received my Ph.D. in Inorganic Biochemistry. I wanted to go to one of the top schools in Chemistry for graduate school and was accepted to Berkeley, Stanford, Wisconsin, and Illinois, but I chose Illinois because it seemed to be the best fit for my research interests. 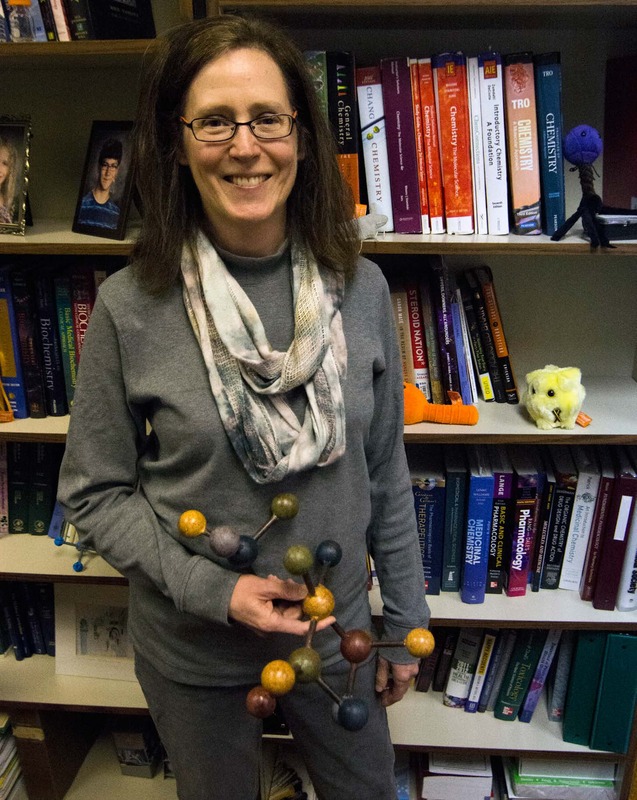 Inspiration For Becoming a Professor: I have wanted to teach since going to Carleton. After graduate school, I went to work for Eli Lilly, a pharmaceutical company, where I worked in new drug development. I felt I wasn’t ready to teach yet since I didn’t know enough about realworld chemistry. I enjoyed that job a lot, but ultimately, I found the parts of my job I loved the most involved teaching (educational trips to colleges, teaching technicians, etc.). So, I decided it was time to pursue a teaching job. I love being in a job where I have to learn new things all the time and where I can interact with students in a meaningful way. The Definition of Education: For me, getting an education was more than about learning facts or specific content in the scientific field. It was about experiencing how people view life and the world from different viewpoints and perspectives. It was about having philosophical conversations with students with vastly different backgrounds and stretching my mind. Education is a process that teaches you how to think about things, how to analyze and solve problems, and how to become a lifelong learner. Draw to Rocky Mountain College: I was from Mont., so I knew about the school, and I wanted to teach at a small liberal arts college with a good science program. The Best and Worst Things About Being a Professor: The interactions with the students are the best part. The worst parts are grading certain tests and assignments, and going to meetings where it seems like little is accomplished. Advice For New Students: Be open to trying classes in new areas, be open to changing your mind about a career path, and ignore your cell phone, email, and social media while you are studying to give yourself a chance to get truly engrossed in the material. This Year’s Agenda: I love the classes I am teaching, and I am really enjoying working with my research students on a collaborative grant involving substance abuse education on the Crow Indian Reservation. Goals: I hope to leave a positive mark on the world by helping my students be successful in their lives and improving the lives of Crow people through my research.